Isfahan — Isfahan is one of the most beautiful cities in the world with a lot of historical and cultural monuments. Famous historic bridges, museums, parks, palaces and mosques, as well as many of the natural attractions of Asia, are located in this city. Lahore - Pakistan's most liberal and cosmopolitan cities. It exerts a strong cultural history and influence. Shanghai - largest city in the People's Republic of China with modern skyscrapers alongside old British and Chinese buildings. 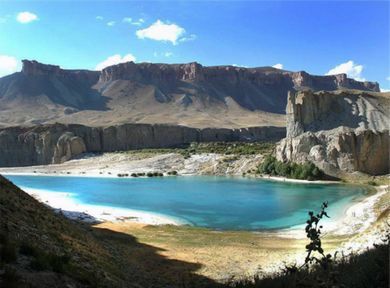 Varzaneh - On of the most beautiful and accessible deserts of the world. Being close to great salt lake and ancient town of Varzaneh. K2 — also known as Mount Godwin-Austen or Chhogori, is the second highest mountain in the world. Located in Northern Pakistan in Himalayas, Karakoram range. Asia's largest airports by number of intercontinental connections include Tokyo, Beijing, Hong Kong, Bangkok, Kuala Lumpur, New Delhi, Mumbai and Singapore. For the Middle East, Dubai is by far the largest hub, with Doha and Abu Dhabi also having reasonably good connections. If you are coming to Asia by train, you'll be likely coming in through Russia or Turkey, although other options may exist. For an interesting experience, try the Trans-Siberian Railway. Due to the vast distances and expanses of water separating Asia's different regions, air travel is likely to be the preferred mode of transport between the regions' many travel destinations. Fares are lower on average than in Europe or America, and low cost airlines in Asia are rapidly expanding their networks particularly in Southeast Asia. Many languages are spoken throughout Asia, comprising a number of families and some unrelated isolates. While the local languages are always best, some blanket languages can be useful in multiple countries. In the Middle East, classical Arabic is widely understood, while knowledge of Russian will help you in Central Asia and the Caucasus. Hindi and Urdu are useful in South Asia and Malay/Indonesian will help you in Southeast Asia. Mandarin Chinese is spoken by most in China and Taiwan, and to a lesser degree, in Singapore. English leads to a fairly easy time in India, Philippines, Singapore,and Hong Kong. Birthplaces of all ten of the world's major religions: Bahai, Buddhism, Christianity, Hinduism, Islam, Jainism, Judaism, Shintoism, Sikhism and Taoism. Cruise between the dramatic limestone Karsts, islets and island, in the emerald blue sea of Ha Long Bay. Learn scuba diving in some of the cheapest diving schools in the world. Climb Mount Everest, the highest point of land on earth between Nepal and China. Asia is renowned as having some of the best cuisines in the world. Usually the largest city or capital has the best clubs. The most obvious examples are Afghanistan and Iraq. Afghanistan is in a state of war against insurgent groups such as the Taliban, Al Qaeda, and various other armed forces. These countries are considered no-go areas and should be completely avoided by travelers (if one absolutely must go, consult War zone safety and the authorities of your country before you go). 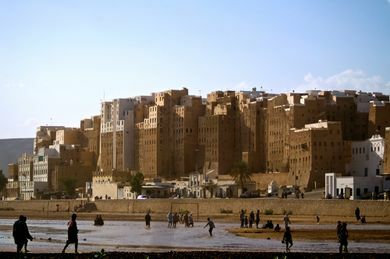 Yemen could also be added to the list of no-go countries, due to a very high threat of terrorist attacks, kidnappings, tribal violence and general lawlessness. Since January 2011, Syria also should not be visited due to civil unrest, including some indiscriminate attacks on or in cities and checkpoints. Other countries in Asia generally can be visited, though some countries have regions and areas that should be avoided. The Middle East is generally known for its political tensions, and while true for some part, most of the region can be visited without any major risks. The Gaza Strip is effectively a war zone between Palestinian factions and the Israeli army, where kidnappings of foreigners have occurred. Israel has coped with missile attacks as well as suicide bombings by Islamic militant groups, such as Hamas and Hezbollah. Lebanon and the West Bank (Palestinian National Authority) generally cope with an unstable political situation and internal conflict. Some regions of the Caucasus are considered dangerous due to active insurgent groups, particularly the North Caucasus (Chechnya), Abkhazia and South Ossetia. Bahrain has experienced some political violence, too, so check on current conditions before you go. Iran and Pakistan cope with a low-level conflict in the Balochistan region against Baloch insurgents. More dangerously, Pakistan is active in a full-scale war in Khyber Pakhtunkhwa and the Federally Administered Tribal Areas, both of which should not be visited. Kashmir, claimed by both Pakistan and India, is also a region with tens of thousands of casualties since 1989 due to political strife and insurgency. In 2009, the Naxalite-Maoist insurgency in India has resurfaced, particularly in Chhattisgarh and other parts of Eastern India. Northeastern India also copes with dozens of insurgent groups, some of which have armed factions. Southeast Asia is a major travel region and most of it is perfectly safe to visit. A notable exception is East Timor, which continues to face sporadic internal ethnic and political tension and related violence may occur. But even in some popular countries, there are some areas that should be avoided. The Autonomous Region in Muslim Mindanao in the south of the Philippines is an area of conflict with several Muslim and communist rebel groups fighting with the Philippine army. It was declared the world's most hazardous area for journalists in 2009 by the Committee to Protect Journalists. 18 reporters died in a massacre in Maguindanao that claimed the lives of almost 60 people. The rest of the country, specifically Luzon and the Visayas, are safe, just like the rest of Mindanao (including Davao and Cagayan de Oro areas). Thailand, the most visited country in Southeast Asia, is generally safe, with the notable exception of four deep southern provinces, where fighting between the Thai military and Islamic insurgent groups still continues to this day. In 2014, a young British couple was raped then both murdered in a south island, and the suspect allegedly on the loose. Indonesia is a very diverse country, with armed groups fighting for independence in Papua. Maluku is relatively safe now, but has seen periodic eruptions of violence occur in 1999-2003. Indonesia also copes with Islamic extremist groups throughout the country. Bali, the most popular tourist destination of the country, dealt with Islamic terrorist attacks in Kuta in 2002 and 2005. The island can be visited, but avoiding large gatherings and crowded nightclubs could be advised. 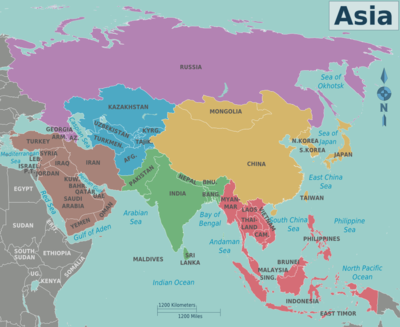 East Asia is probably the safest area in the continent, but political tensions also exist in this region. You might want to avoid the border between North Korea and South Korea as these two countries are technically still at war with each other. China, a vast and diverse country, is surprisingly safe for its size, yet the restive provinces of Tibet (and its accompanying counties and prefectures in neighbouring provinces) and Xinjiang are often restricted to foreign travellers at any hint of trouble. Refer to the specific country pages and the authorities of your country for more information. Many areas of Asia, especially Southeast Asia and South Asia, are humid tropical, and there are certain health risks attached to travel in those regions -- such as dengue fever and risk of malaria. Consult the country articles for specific information.